In 2014, the U.S. Center for Disease Control and Prevention (CDC) and the Sierra Leone Ministry of Health and Sanitation (MOHS), partnered with several organizations including eHealth Africa (eHA) to enroll and vaccinate over 8,000 healthcare and front-line workers against the Ebola Virus disease via the Sierra Leone Trial to Introduce a Vaccine against Ebola (STRIVE) program. eHA is proud to have been a part of the success of the STRIVE program. Click here to read all of the articles included in the supplement. In 2014, eHealth Africa was approached by the U.S. Centers for Disease Control and Prevention (CDC) to assist in the implementation of the first ever clinical trial in Sierra Leone. The clinical trial was to test a vaccine against the Ebola Virus Disease. At the time Sierra Leone was facing a deadly Ebola outbreak that gripped the nation. Combined with cases in neighboring Liberia and Guinea, the epidemic had already become the worst ever recorded in history. 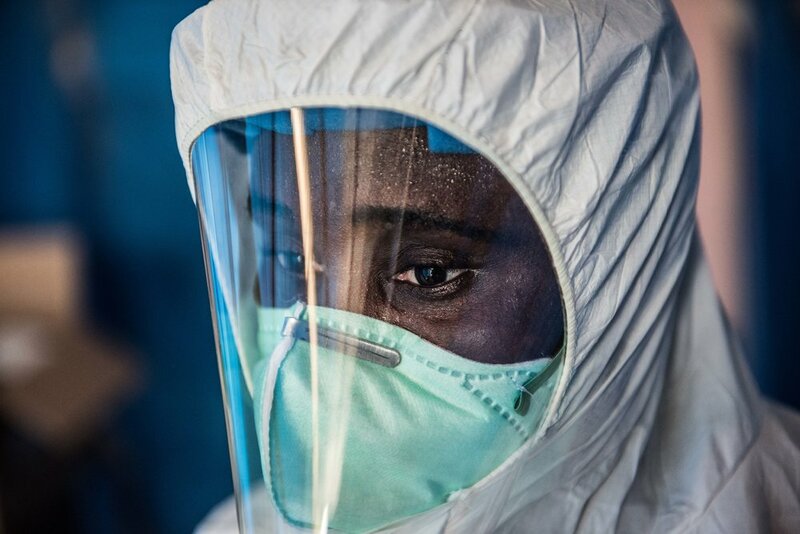 The World Health Organization (WHO) had declared an international public health emergency, and Sierra Leone declared a national state of emergency. In a health care system already lacking adequate staffing, health care workers and frontline workers were at extreme risk for contracting the disease. In partnership with the CDC, the Sierra Leone Ministry of Health and Sanitation (MOHS) and clinical leadership from the College of Medicine and Allied Health Sciences (COMAHS), eHealth Africa led the operations for the Sierra Leone Trial to Introduce a Vaccine against Ebola (STRIVE). In the end, STRIVE enrolled and vaccinated over 8,000 health care and front line workers. 350+ Sierra Leonean clinicians were trained to enroll, vaccinate, and provide surveillance, also building a functioning cold chain to support -80 degree centigrade temperatures to keep the vaccine viable. Here are some of the innovations eHealth Africa facilitated for the SRIVE program. A unique strength of eHealth Africa (eHA) is our ability to maintain innovation during times of crisis, using these innovations to assist response efforts. Software developments that were used for the vaccine trial were also adapted for the larger Ebola response in Sierra Leone. In the post-Ebola outbreak phase, eHA is looking to apply these innovations to the national recovery plan. This will be done by building capacity in mortality and disease surveillance, patient medical records in hospitals, using biometrics to monitor child immunization campaigns, and maintaining extreme temperatures in cold chains to keep life saving vaccines. For eHealth Africa, it was highly valuable to participate as a major partner in the implementation of STRIVE. Our participation not only built up our own capacity as an organization, but allowed us to develop innovative tools that are now being used in the post-Ebola response, building back health systems that are now stronger and more accessible to Sierra Leoneans.